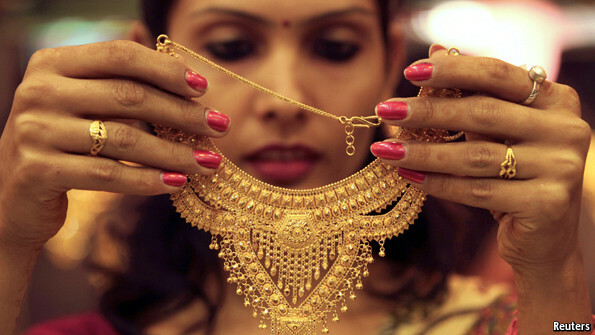 The second reason why gold is popular is that it allows you to bypass a lot of India’s legendary red tape. Opening a bank account in India is bureaucratic hell. Gold, on the other hand, is widely accepted without any documentation. It is also a fine way to store wealth without paying tax—along with property, it is the asset class that the authorities struggle to track. Some reckon that the huge boom in gold has closely tracked the boom in political corruption over the past decade. F., P. "Why do Indians love gold?." The Economist, November 20, 2013. http://www.economist.com/blogs/economist-explains/2013/11/economist-explains-11 (accessed November 21, 2013). In his inimitable manner and donned in his uncompromising black attire, financial markets author Satyajit Das outlines why he thinks the three legs to wealth in Australia (and the West generally): a good well paying job, a nice house, and a pension plan ("Superannuation" in Australia is synonymous with a 401K in the United States, or RRSP in Canada) are a thing of the past. A well paying job is becoming harder to come by thanks to the forces of globalization and technology that effectively makes much work redundant. (Hence the title "Become A Plumber" as Das cheekily exhorts future generations to learn a trade lest they be left behind as future precariat. A nice house, especially one that is close to work and not a burden in terms of a work commute, is out of the reach in terms of affordability for future generations. A pension savings vehicle is increasingly sensitive to the vagaries of stock market corrections and global capital flows. Whether you agree with him or think him overly pessimistic, Das put forward his case for adjusting expectations for future workers and pensioners. Have Canadian Households Embraced Riskier Activity by Choice or Necessity? Why Does Financial Sector Growth Crowd Out Real Economic Growth? Indonesia: Fulcrum of The East? Compared to Asia’s largest powers, China and India, Indonesia’s foreign policy is subtle. China is widely perceived to be nationalistic and aggressive, a goliath with a club in one hand and contracts for lucrative trade deals in the other. This is a strategy that might win it some accomplices but few lasting friends. India’s arrogance and inflated sense of its self makes it a reluctant and less-than-effective actor in multilateral fora. Indonesia, however, seeks strength in alliances and valorises mediation away from the spotlight. Aiyar, Pallavi. "The importance of being Indonesia." The Hindu, Online edition, sec. Op-Ed, November 20, 2013. http://www.thehindu.com/opinion/op-ed/article5368622.ece (accessed November 19, 2013). A beneficial degree of ignorance. 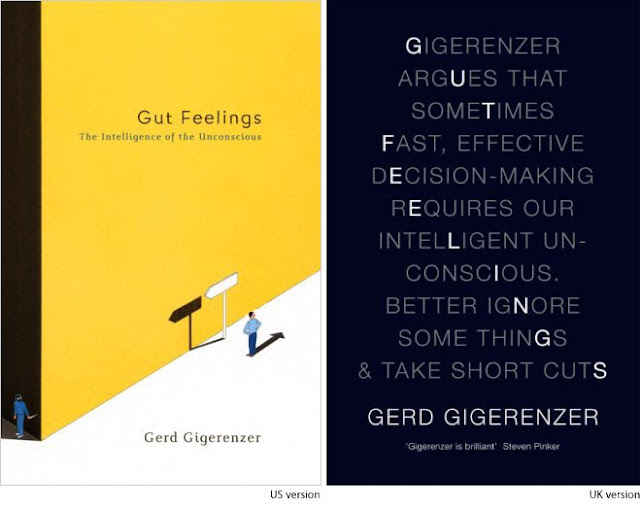 As illustrated by the recognition heuristic, the gut feeling can outperform a considerable amount of knowledge and information. Unconscious motor skills. The gut feelings of trained experts are based on unconscious skills whose execution can be impeded by over deliberation. Cognitive limitations. Our brains seem to have built-in mechanisms, such as forgetting and starting small, that protect us from some of the dangers of possessing too much information. Without cognitive limitations, we would not function as intelligently as we do. The freedom-of-choice paradox. The more options one has, the more possibilities for experiencing conflict arise, and the more difficult it becomes to compare the options. There is a point where more options, products, and choices hurt both seller and consumer. The benefits of simplicity. In an uncertain world, simple rules of thumb can predict complex phenomena as well as or better than complex rules do. Information costs. As in the case of the pediatric staff at the teaching hospital, extracting too much information can harm a patient. Similarly, at the workplace or in relationships, being overly curious can destroy trust. Note that the first five items are genuine cases of less is more. Even if the layperson gained more information or the expert more time, or our memory retained all sensory information, or the company produced more varieties, all at no extra cost, they would still be worse off across the board. The last case is a trade-off in which it is the costs of further search that make less information the better choice. The little boy was hurt by the continuing diagnostic procedures, that is, by the physical and mental costs of search, not by the resulting information. Good intuitions ignore information. Gut feelings spring from rules of thumb that extract only a few pieces of information from a complex environment, such as a recognized name or whether the angle of gaze is constant, and ignore the rest. How does this work, exactly? 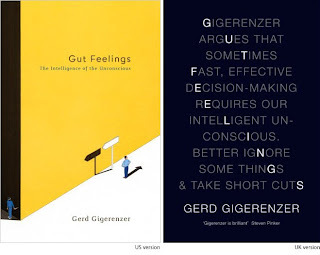 Gerd Gigerenzer, Gut Feelings: The Intelligence of the Unconscious, (New York: Viking Penguin, 2007), 37-39.